Add a student directly into your Boardingware database via the school management page. You will be prompted to input the student's details in the form. Once the information has been input, click 'Save', or 'Save and add another' if you want to continue adding students. 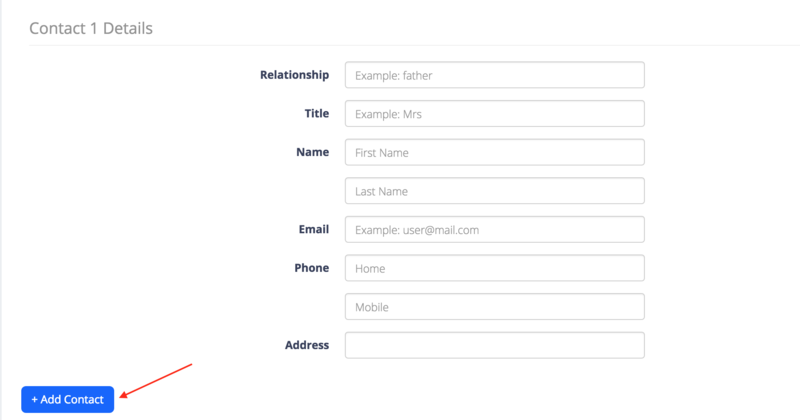 Optional: At the bottom of the form you can add a contact's details, and then click '+ Add Contact' to add an unlimited amount of contacts for the student.